Our Lammbock (Lamb Buck). Malty. Strong. A hint of smoke. 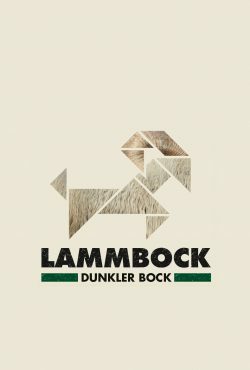 The “Lammbock” (Lamb Buck) is a bock beer, which gives the combination of different types of malt the color of dark chestnut and a full malt aroma with a gentle hint of smoke. The hops “Enigma”, which was added in the whirlpool, gives subliminally light notes of red berries. The “Lammbock” can easily replace a heavy red wine and goes well with game, cheese or can be enjoyed without a meal. Maroon as the leather couch, on which Stefan and Kai always smoke one or the other weed joint and philosophize about the big issues of life, the lamb buck lies in the glass. Exactly this couch comes to mind even when first sniffing: leather and also bacon flavors, which are produced by the smoke malt used, unobtrusively combine with fine, malty caramel notes to create a wonderful bouquet. The first move seems creamy and sweet malting notes play around the tongue. In the finish, these leave enough room for the fine smoky note that slides down your throat like the smoke from “Zero-Zero”. The 5 hop varieties Hallertauer Mittelfrüh, Hersbrucker Spät, Spalter Select, Enigma and Merkur only play a minor role and also the 7.3% Vol. are hardly noticeable at first. But beware: This buck sometimes kicks time-delayed and then even better than Mehmet Scholl. The beer style “Bockbier” has its origin in the Hanseatic city of Einbeck (former called “Ainpöck”) in Lower Saxony. There, in the Middle Ages, the beer was exported as luxury goods to Italy. To achieve the necessary durability, it was very strong brewed. At the beginning of the 17th century, a brewmaster from Einbeck was recruited to Munich, who then brewed the strong beer there. Colloquially the “Ainpöcksche beer” became “Bockbier”. A beer may only be called a “Bockbeer” if it has at least 16 ° Plato original wort. Due to the special, often dark malts, Bockbier is full of flavor and has roasted flavors provided by the malt. Often the caramel sweetness and high alcohol content are emphasized by the bitterness of the hops. Depending on the strength of the beer and a (compared to regular beer) often lower amount of carbon dioxide, the foam is creamy and may also be beige colored in dark bucks.